(5) Ribbon to Ribbon Connector Ribbon Star 450 Sidelight & SlimLux NEW! 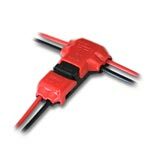 Use this connector to create continuity between two of our 5mm wide Ribbon Star 450 Side Lights or Ribbon Star SlimLux LED strip lights. To use simply pull out the plastic tab, insert the strip light and then pinch back into place. Sold in sets of 5, compatible with our single color indoor strips with 5mm wide PC board. This UL Listed Ribbon Star Side Light LED Light Strip with 450 high quality White Side Lit LEDs provides a perfect light source for many different projects. The 16.4ft(5m) LED Strip Light can be cut every inch and has a 5mm slim profile to easily conceal in any LED Strip Light application. Comes with 3M™ mounting tape on the back, for the best long-term mounting solution. 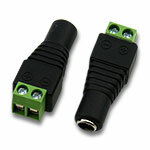 3 SMD LEDs per 1.3" with a total of 450 LEDs that require 33.5W of 12VDC power or 2.04W per foot. This LED strip light is great for projects that your typical SMD LED Strip will not configure to. Use for back lighting, halo lighting, back splash lighting, coves, under counter lights, toe kick lighting, under stairs or any other lighting applications that require a slim flexible LED Strip Light. Comes with two quick connectors. Requires a 12VDC Constant Voltage power source. 6500K Color Temperature. UL Listed for class 2 luminaries and fixtures, RoHS and CE approved. This UL Listed Ribbon Star Side Light LED Light Strip with 450 high quality Warm White Side Lit LEDs provides a perfect light source for many different projects. The 16.4ft(5m) LED Strip Light can be cut every inch and has a 5mm slim profile to easily conceal in any LED Strip Light application. Comes with 3M™ mounting tape on the back, for the best long-term mounting solution. 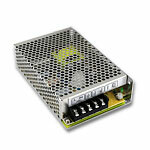 3 SMD LEDs per 1.3" with a total of 450 LEDs that require 33.5W of 12VDC power or 2.04W per foot. This LED strip light is great for projects that your typical SMD LED Strip will not configure to. Use for back lighting, halo lighting, back splash lighting, coves, under counter lights, toe kick lighting, under stairs or any other lighting applications that require a slim flexible LED Strip Light. Comes with two quick connectors. Requires a 12VDC Constant Voltage power source. 3500K Color Temperature. UL Listed for class 2 circuits, RoHS and CE approved. Our Ribbon Star SlimLux White LED Strip Light is a bright and extremely thin 24VDC LED Strip Light boasting an astonishing 293 lumens per foot and only 5mm wide. 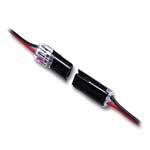 This ETL Listed 197" (5m) LED ribbon can be cut every 1.97" and re-connected by soldering wires or by using our slim quick connectors (sold separately). Comes with double sided mounting tape on the back, for the best long-term mounting solution. 6 high output 3014 SMD LEDs per 1.97" for a total of 600 high output LEDs per 197" LED strip. 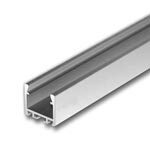 At 3.05 watts per foot this strip requires at least 50W of 24VDC Constant Voltage power (2.08A) per 197" strip. This LED Ribbon strip is perfect for illuminating the smallest spaces where a standard strip may not fit. 5700-6500K Color Temperature, ETL Listed, RoHS and CE approved. Our Ribbon Star SlimLux Warm White LED Strip Light is a bright and extremely thin 24VDC LED Strip Light boasting an astonishing 293 lumens per foot and only 5mm wide. 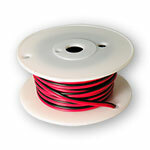 This ETL Listed 197" (5m) LED ribbon can be cut every 1.97" and re-connected by soldering wires or by using our slim quick connectors (sold separately). 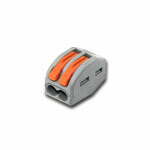 Comes with double sided mounting tape on the back, for the best long-term mounting solution. 6 high output 3014 SMD LEDs per 1.97" for a total of 600 high output LEDs per 197" LED strip. 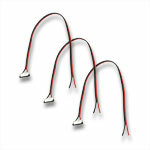 At 3.05 watts per foot this strip requires at least 50W of 24VDC Constant Voltage power (2.08A) per 197" strip. This LED Ribbon strip is perfect for illuminating the smallest spaces where a standard strip may not fit. 2700-3000K Color Temperature, ETL Listed, RoHS and CE approved.